Welcome to the third installment of my NFL blog series. If you haven’t read parts one and two, feel free to check them out. I know that I am supposed to have some sort of professional journalistic type of intro to my blog so that you guys can get all excited and lathered up about reading further. But I had a pretty crazy or should I say alcohol induced weekend. So F@*$ an intro, this is my intro. The AFC North has been a two team division for years now. The Pittsburgh Steelers and the Baltimore Ravens are the two best teams in this division who routinely duke it out between each other for the division crown. Every now and then the Cincinnati Bengals will get their act together and make the division interesting or sometimes pull off a miracle to win the division title like they did last year. Then you have the mistake by the lake Cleveland Browns who sit on the sideline picking their nose wishing they could compete in this division. Hopefully Mike Holmgren can make the Browns team competitive once again because as of now they aren’t nor have they been in awhile. Cincinnati Bengals – The Bengals are that team that are basically made up of a bunch of almost good, talented players, bad draft picks, high draft picks who didn’t pan out, and former first round picks who other teams cut. They do have talent, but not the kind that produces winning season’s year in and year out. This includes Chad Johnson (Ocho Cinco). I have said many times that Ocho Cinco is hands down the most overrated wide out in the game. He is maybe a top ten wide out but if he is in the top ten he is at number ten. He is more effective with his mouth and antics than he is on the field. I have never heard a coach say that they have to find a way to slow down Chad Johnson. Statements like that don’t get used when referring to Chad. Chad isn’t the only one on this team that I am critical of. I am very critical of Marvin Lewis who in my eyes shouldn’t be a head coach in the NFL. He is doing just enough just to get by and it seems as if he players do the same. Marvin Lewis became the head coach for the Bengals after being considered one of the best if not the best defensive coordinators in the NFL when he was at Baltimore. But when you look at the Bengals, they have never had a great defense like Baltimore had when Marvin was in Baltimore. Typically good coordinators that become head coaches will have whatever side of the ball that they are an expert in be really good. Last year Cincinnati had a pretty good defense, but it wasn’t really good. One has to wonder if Marvin benefitted from the talent that was in Baltimore, or if he can really coach defense or coach at all. Even though Marvin’s coaching is somewhat questionable. On offense the Bengals have at times had really good offenses. Getting Cedric Benson last year really added another dimension to their offense that gave them balance on the offensive side of the ball and should do the same in 2011. The addition of rookie tight end Jermaine Gresham and wide out Jordan Shipley will give Carson Palmer what he has needed for years, two guys who can work the middle of the field and exploit a defense. Free agent signee Antonio Bryant was also brought in to give Carson and Chad some help and will be a great addition to the offense. These acquisitions at wide out and tight end are important due to the fact that after the death of Chris Henry last year, the Bengals offense struggled. 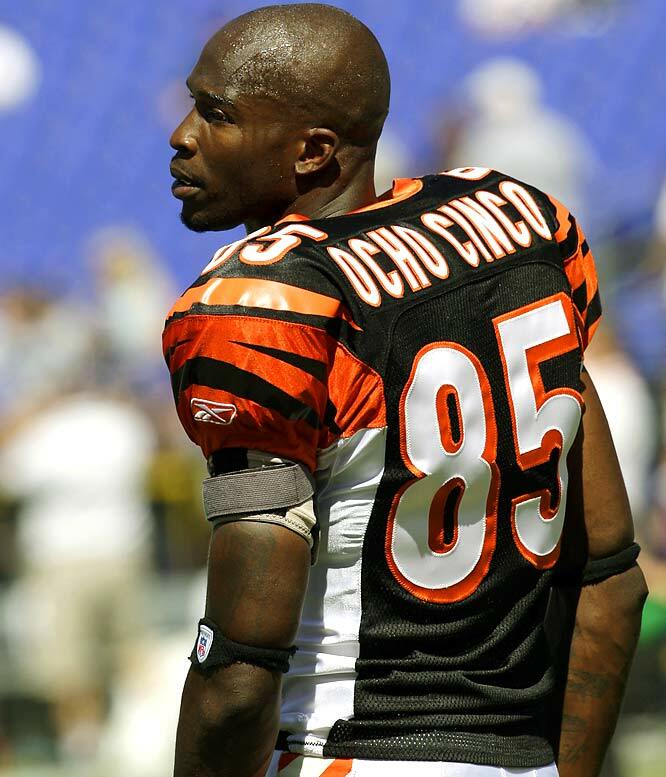 Chris Henry, not Ocho Cinco was the guy that routinely stretched the field for the Bengals and had the speed and the size to get behind defensive backs. Whether he lined up outside or in the slot, he was the key to Cincinnati’s passing game. From the defensive side of the ball the Bengals should improve on what they built last year under Mike Zimmer. But once again we are talking about the Bengals here. Injuries on the defensive line hurt this defense late in the year and teams were able to take advantage of that. Defensive draft picks Carlos Dunlap, Geno Atkins and Roddrick Muckelroy add depth and talent to the defensive line and linebacker corps. All three guys are versatile defenders and will allow Zimmerman to get more creative with his scheme to put more pressure on the QB and stop the run. At season’s end, I see 9-7 at best with 8-8 being the most likely scenario. With the Bengals having to face the Saints, Colts, Patriots, Jets and then the Steelers and Ravens twice this year, I don’t see the playoffs in the Bengals future for 2011. Pittsburgh Steelers – The Steelers are one of those “you can’t tell by what’s on paper” teams like the New England Patriots. Right now as you look at their roster, you wonder how are they going to consistently generate offense. Besides Hines Ward, Rashard Mendenhall and Heath Miller, they have a bunch of unproven guys on offense, and a offensive line didn’t look too good last year. Along with that, wide out Limas Sweed is out for the year with a season ending injury. Mike Tomlin addressed the offense during the offseason by drafting all-world center Maurkice Pouncey along with a very talented, speedster wide out in Emmanuel Sanders and running back Jonathan Dwyer who people compare to Barry Foster. But will that be enough for Pittsburgh? We all know about the Ben Roethlisberger situation and the fact that the Steelers will have to play four to six games without him. So the question is can Byron Leftwhich or Dennis Dixon play well against the Falcons, Titans, Bucs, Ravens and Browns until Ben gets back with the talent that they have on offense? Defensively they look to be just as strong if not better than last year. 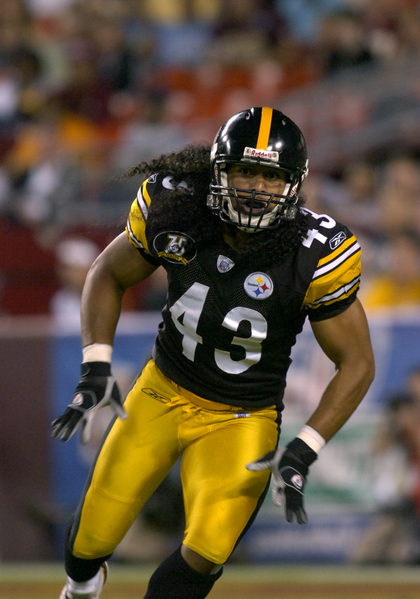 Pittsburgh has and always will be known for their defense and during the first four or six games of the season. They may have to carry this team with Ben being out. When you look at Pittsburgh’s 21st ranked season schedule, the Steelers should be in the playoff hunt as usual. Besides games against the Ravens, Saints, Patriots and Jets, the rest of their schedule is very soft. Look for an 11-5 or 10-6 record for the Steelers this year. Cleveland Browns – If you are a Cleveland Brown fan, you may just want to scroll on down and read about the Baltimore Ravens because I am having a hard time finding anything nice or optimistic to say about the Browns season this year. This franchise needs more than Mike Holmgren taking over the front office. They need talent and a new head coach because I dont think Eric Mangini is the answer. 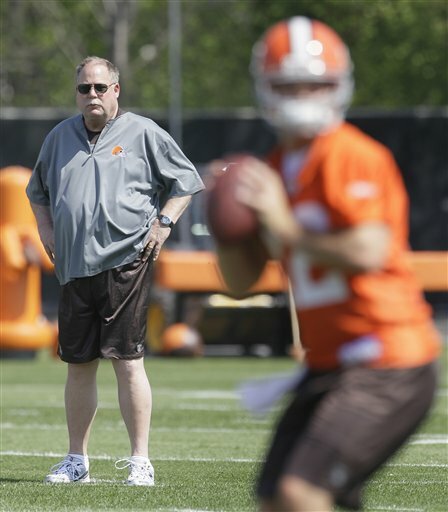 I think Mike Holmgren coming in to run things in Cleveland is very good for that franchise. They have not had any direction since their inception of the new Browns a few years back. I also think that in order for Cleveland to really progress, they need to find a new head coach or Mike may need to get back on the sidelines again. Offensively they are a wreck but should be a lot better than last year. They are going to be running a west coast offense. When Bill Walsh created the west coast offense while in Cincy, he did it because they had no talent at any of the skill positions and Paul Brown needed to find a way to move the ball. So the Browns shouldn’t be as pedestrian as they have become known as of late. I love all of their draft picks on the offensive side of the ball that Holmgren made. Colt McCoy and Carlton Mitchell are going to be very productive, franchise type players for Cleveland. I don’t know how Colt lasted until the third round or how Carlton lasted until the sixth round. One tidbit to remember, Joe Montana who had the same skill set as Colt McCoy was also drafted in the 3rd round and was coached by none other than Mike Holmgren. I am not calling Colt the next Joe Montana, just saying that these guys are very similar in skill set and where they were drafted. The running game needs help, and I don’t see any coming or on that roster as of now. On defense, Magini is supposedly a defensive genius or good at coaching defense, but since he has left New England. He hasn’t done squat. Mangini needs to find a way to generate some sort of pass rush which would help that weak secondary a little bit. To his defense, he hasn’t had much talent on defense; I am assuming that’s why Holmgren didn’t fire him. Mike spent four picks on defense by drafting CB – Joe Haden, FS – T.J. Ward, SS – Larry Asante and DE – Clifton Geathers. Although I felt that he was drafted a little higher than what he should have been, Joe Haden is a really good cover corner who will upgrade the secondary. T.J. Ward was a little bit of a reach too if you talk to some scouts. There were better free safeties on the board when Cleveland picked Ward. The new kids on defense and offense will be a great asset to the team, although the young kids won’t turn this team around over night and I don’t expect to see anything that will make this team a competitive one during the 2011 season. I see a 3-13 or 2-14. Not much winning will be going on in Cleveland this year. 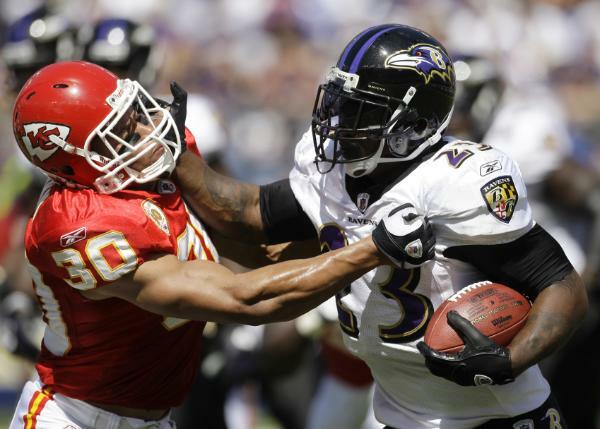 Baltimore Ravens – If there is one word that you could use to describe the Baltimore Ravens off season, it would be “Sick.” If the San Diego Chargers don’t go to Super Bowl XLV as the AFC representative, the Baltimore Ravens will. The one problem that has plagued this team for years going back to their Super year was their inability to move the ball at key times during a game. That won’t be a problem in 2011. Joe Flacco has shown what he can do when healthy and when he has weapons at his disposal as he did during the first half of the season in 2010. With that in mind, John Harbaugh and Ozzie Newsome went out during the offseason and resigned wide out Derrick Mason, signed free agent wide out Donte Stallworth and traded for disgruntled, pro bowl wide out Anquan Boldin from the Arizona Cardnials. This gives Flacco and the Ravens a very impressive trio of wide outs to go along with Ray Rice and Todd Heap. Then they added depth and versatility to the tight end position through the draft by drafting Ed Dickson and Dennis Pitta. That’s a lot of quality offensive talent acquired by one team. We already know about the defense. The two former Miami Hurricanes of Ray Lewis and Ed Reed along with the rest of the defense will be ready to play come any given Sunday or Monday night. In conjunction with that, the defense got even stronger this offseason with the drafting of DT – Terrance Cody, OLB/DE – Sergio Kindle and DT – Art Jones. Baltimore can now have Terrance Cody line up next to Haloti Ngata, which will make it next to impossible for teams to run on them and will keep blockers off of Ray Lewis and allow him to roam free and make tackles. Sergio Kindle gives them another off the edge rusher who will be able to rush the quarterback from anywhere that he lines up. So while Ray is roaming free making plays, Baltimore will have several guys on the field that can blitz and get to the QB at will. It’s almost not even fair. One major concern for Baltimore’s defense is their secondary. On a regular basis teams exploited holes and corners that couldn’t cover in the Ravens secondary. If they can fix that, then they are almost a lock to be in the super bowl. I would have to say that Baltimore should finish with a 12-4 record or no worse than 11-5. Tough games against, the Saints, Patriots, Jets and Texans and of course two games with the Steelers make this year’s Super Bowl run a little difficult but do able.